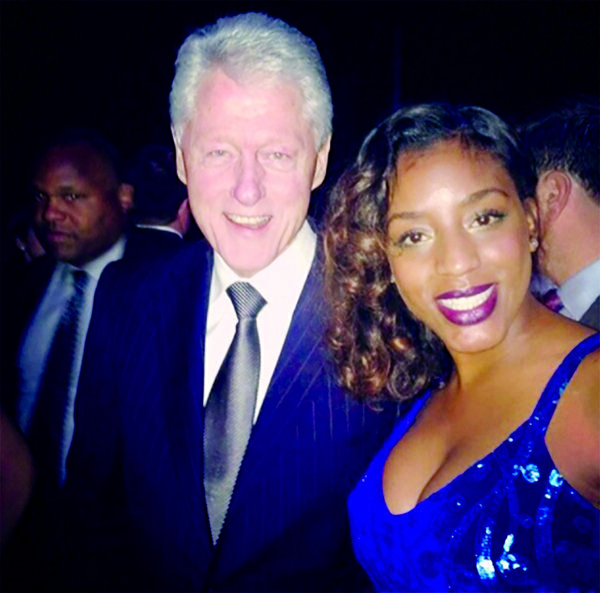 Sydney Nycole (right) with former U.S. President Bill Clinton. Two like-minded women with the same passion join forces for causes closest to their hearts and minds. Christine Brenner, founder of Brenner Foundation, a non-profit charity that supports Veterans and Homeless, and Berkeley-based music recording star Sydney Nycole teamed up to create awareness during Style Fashion Week LA. Christine Brenner, who is also an investor in the fashion and beauty industry, partnered with singer Sydney Nycole and Style Fashion Week for a benefit reception and runway show in Los Angeles. Sydney Nycole is a young ambassador of several organizations and national brands. Nycole has been actively performing in the NorCal region and was invited to perform during Style Fashion Week LA in October during the Brenner Foundation Reception. Style Fashion Week generates hundreds of millions of media impressions at each event from news outlets to fashion bloggers. The Brenner Foundation first partnered with Style Fashion Week New York during an event on the U.S.S. Intrepid in September. Thousands of people attended and heard Christine Brenner along with former Mousekateer actor Dale Godboldo from Project: NOW, a partnership with Oprah’s Charity, speak about Brenner’s cause. The Brenner Foundation’s mission is to motivate and inspire a national community of patriotic individuals for the benefit of veterans and homeless. Brenner is creating awareness for issues facing Homeless Veterans. Brenner Foundation’s “Care Bag Program” provides a backpack filled with personal hygiene items and snacks for homeless in shelters in New Jersey and Denver, CO.
Brenner and Nycole plan to meet during Style Fashion Week LA to discuss local needs and to bring the program to Oakland, Richmond and other cities in Northern California.